Fred. 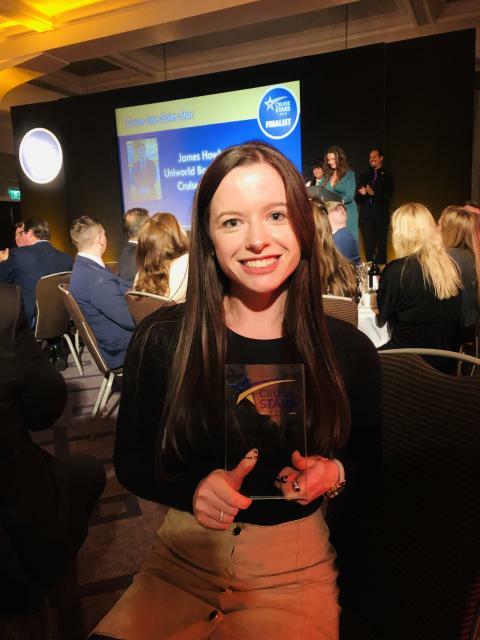 Olsen Cruise Lines is celebrating after Marketing Executive Terri Overett was named as ‘Cruise Line PR & Marketing Star’ by ‘Cruise Trade News’ at its prestigious ‘Cruise Stars Awards 2018’, held at the Grand Connaught Rooms, London on Friday 16th November 2018. Terri Overett, eBusiness Testing & Usability Executive in Fred. 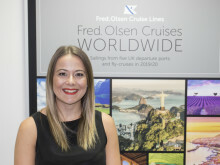 Olsen’s Marketing team, beat off stiff competition from a number of other major cruise lines, including Cruise & Maritime Voyages, Royal Caribbean and AmaWaterways, to win the coveted title. Terri joined Fred. Olsen 18 months ago, and in that time has been involved in a number of key projects, including the launch of the cruise line’s new website and its revamped ‘Travel Agent Centre’, a dedicated online resource available to travel agents, providing training programmes, up-to-date offers and general information on Fred. Olsen Cruise Lines. In the first three months of the new website going live, cruise bookings on the site rose by 14%. Terri was also instrumental in the creation of the ‘Art Work Builder’ on the Travel Agent Centre, which allows travel agents to create their own bespoke promotional material for Fred. Olsen offers. To date, over 1,700 posters and fliers have been created using this valuable tool. “I feel incredibly honoured to have won the ‘Cruise Trade News’ ‘Cruise Line PR & Marketing Star’ award, especially given the strength of the opposition, with most of the other nominees being in senior or management positions. “Terri has proven herself to be an exceptionally valuable member of the Marketing team and has a positive ‘can do’ ethos to anything thrown at her. Nothing is too much trouble and she takes on tasks professionally and always delivers to brief, while providing ideas and solutions on how processes and workflows can be improved – whether this be supporting a digital marketing campaign, or delivering a new website.